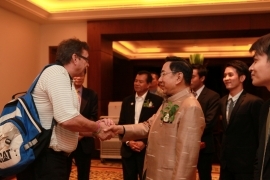 On February 23rd, ECA President Mr. Vojko Korošec, attended IFC AGM in Bangkok. At the meeting they discussed the cooperation between IFC and ECA and also got a chance to see the venue where the International Championship will be held in November. said Mr. Korošec upon returning from Thailand.